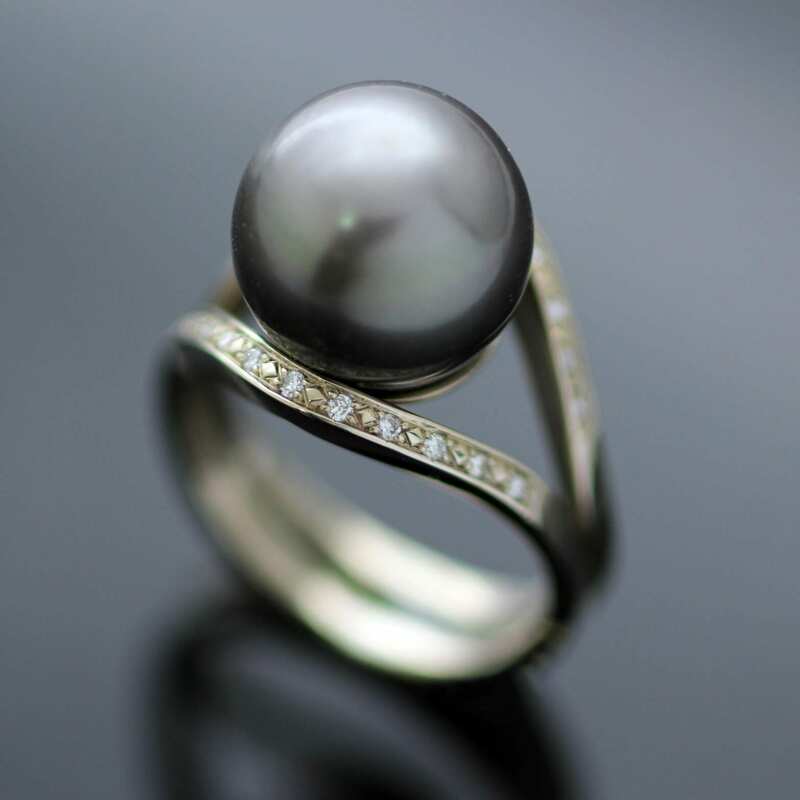 A sleek and modern Pearl cocktail ring, handcrafted from the finest materials by Julian Stephens Goldsmith. This elegant design is a unique, one of a kind piece designed, crafted and hand finished by Julian from his Brighton workshop. 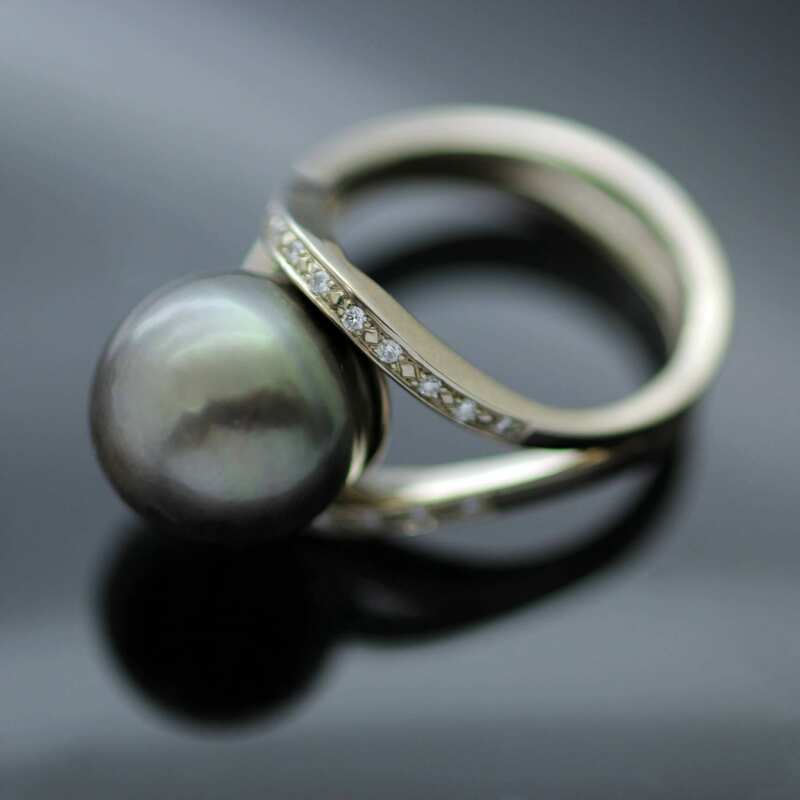 An exceptional natural round Tahitian pearl is expertly set in sleek twin curved bands of solid 14ct White Gold, embellished with opulent twin bands of Pave set Diamonds for added luxurious sparkles. 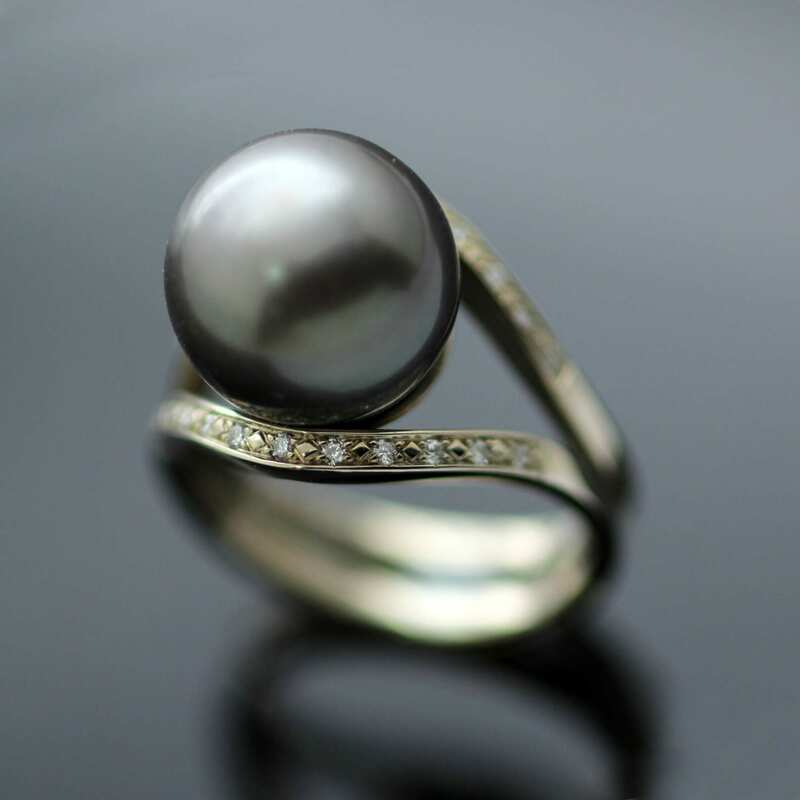 This stunning modern opulent Pearl ring includes Julian Stephens exclusive Maker’s Mark alongside a Hallmark of authenticity as an indication of the fine materials used to lovingly craft this exquisite design.